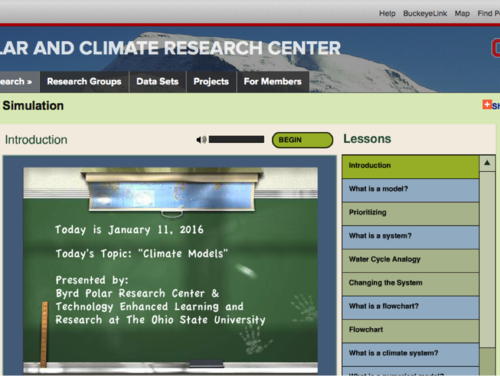 This set of animations and interactive simulations from the Byrd Polar Research Center at Ohio State University helps students develop an understanding of models used to understand the Earth system. Students consider the types of data that need to be included in a climate model, looking at inputs, outputs, and variables. The animations show how data is calculated for grid cells and assembled into a comprehensive model. 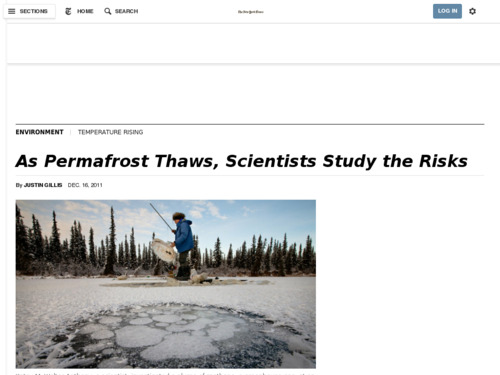 This article and slide show from the New York Times, features several scientists from the University of Alaska, Fairbanks, who study the effects of thawing permafrost in Alaska. This Flash-based simulation explores the relationship between carbon emissions and atmospheric carbon dioxide using two main displays: (1) graphs that show the level of human-generated CO2 emissions, CO2 removals, and the level of CO2 in the atmosphere, and (2) a bathtub animation that shows the same information as the graphs. The bathtub simulation illustrates the challenges of reducing greenhouse gas concentrations in the atmosphere. 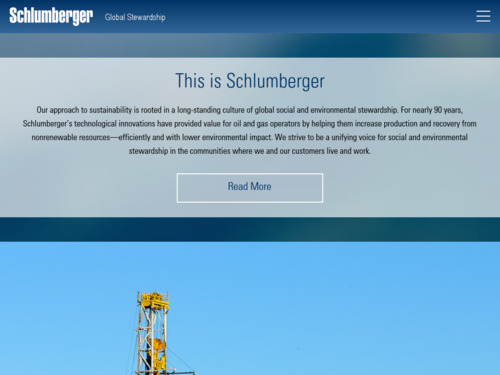 This is an interactive website that provides descriptive information and data related to ten key climate indicators. These climate indicators and related resources show global patterns and data that are intuitive and compelling teaching tools. This animation depicts real-time wind speed and direction at selected heights above Earth's surface, ocean surface currents, and ocean surface temperatures and anomalies.